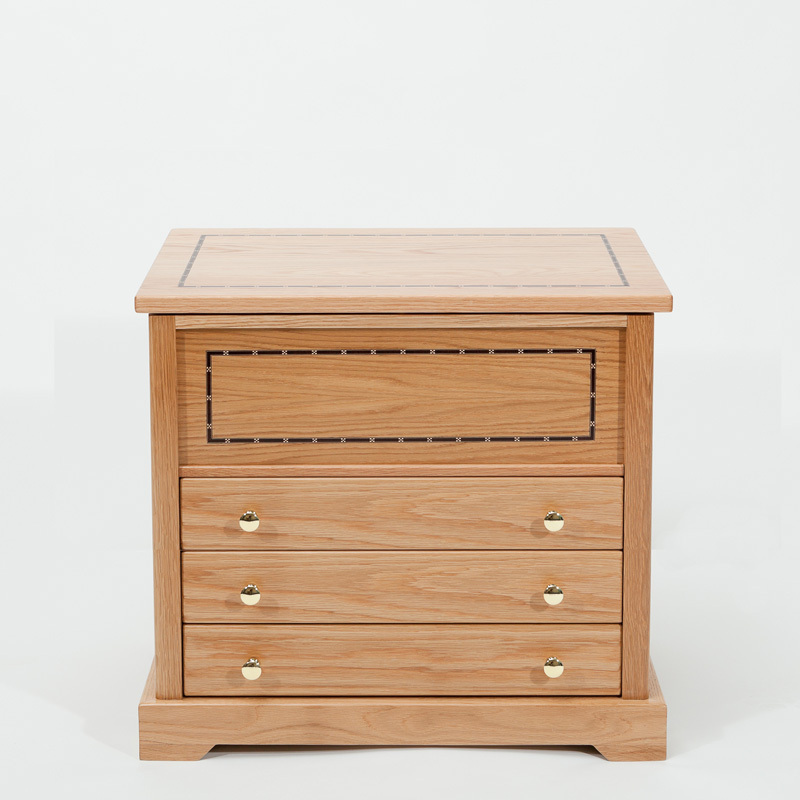 The Henley 5 workbox is available in a natural oak or walnut finish with a solid oak lid and features hand-inlaid marquetry on all four sides. The workbox is supplied with four trays; two of the trays can hold up to 350 stranded cottons on cards, while the other two tray can be used to store accessories. This price is inclusive of VAT @ 20% and UK mainland delivery. © 2019 RIVERBANK WOODCRAFTS. All rights reserved.